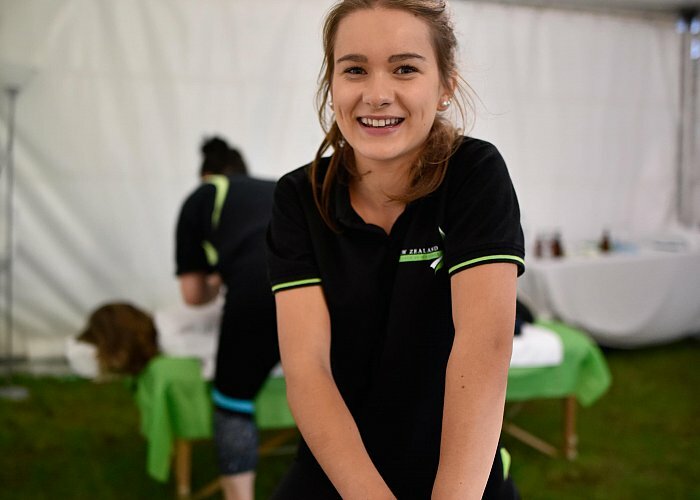 New Zealand College of Massage has a variety of working relationships with volunteer and sport groups that provide mutual benefits and learning experiences for our students. Each year students come together to support athletes at the New Zealand Institute of Sport’s National Sports Exchange. NZCM students undertake massage on the competing NZIS students at the week-long event, while also receiving professional development in NZCM workshops. This is a fiercely contested inter-campus competition, and massage plays an integral role in helping the competitors perform at their best and help to prevent injury. It is a fantastic opportunity to get together with the students from other campuses. This year Christchurch will be the host for the Sports Exchange event. Community Placements are a valuable opportunity for students to gain practical experience in a supervised environment that provides a real world application of classroom learning. We have arranged placements in areas of palliative care, professional sports teams, working with the elderly, on-site massage, national sporting events and working alongside other health care providers. Each placement is designed to expand on your knowledge base and encourage you to undergo a range of experiences that you may not have considered for your massage practice. Your placement will relate to your level of learning and challenge you to develop more confidence and ability in your field of practice.